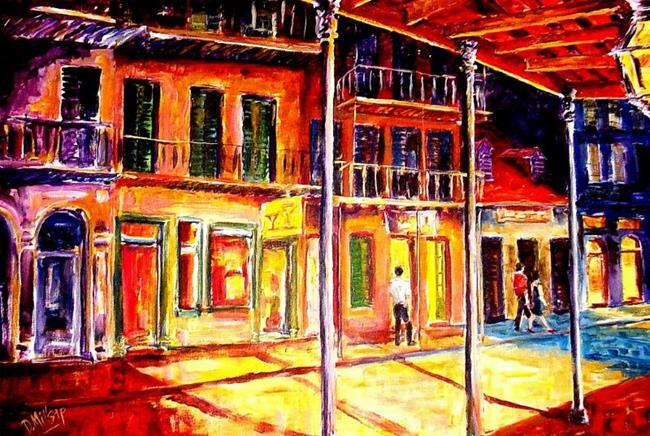 This vibrant, colorful scene in New Orleans captures the flavor and atmosphere of the Old French Quarter. 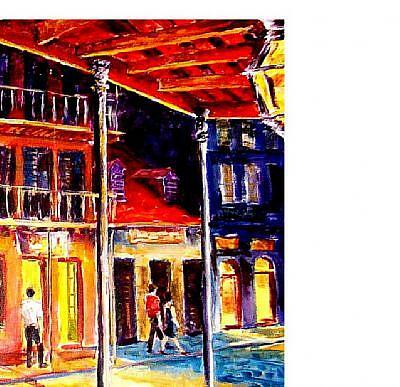 Measuring a large 36" x 34", it is a one-of-a-kind original, painted in a free impressionist style. It is mounted on stretcher bars, ready for framing. If you choose to hang it unframed, the sides of the canvas are also painted. (A convenient picture wire kit is included.) Diane's certificate of authenticity will accompany the painting.